Let's use this area to showoff our new recent Golden Age books! Of course you'll see MLJ mostly from me, and early Archie stuff. First story is great; it features Captain Flag rescuing an American journalist on 'Devil's Island'. I did some research while reading the story, and in fact, the Nazi's had used this island for a prison during the war. Great stuff! Capt Flag's cape makes everyone of his covers patriotic. Unfortunately, the writing in most Fawcett's is not very memorable. Cover so nice, I am going to post it twice. Location: Letters and Tomatoes Dept. I'd love to but this 150,000 byte max is shutting me down. My pics in the worst quality option still come in @ 160,000. Anybody have an ideas how to get around this? I am illiterate on this digital camera stuff. Don't have a digital camera, but I finally stumbled upon how to get my scans down to a post-able size. Save As jpeg, and with jpeg you have various compression options. My scanner software's (Picture It Express) default was something like 10% => changing it to 70 to 80% dramatically reduces the file size while keeping good quality. So you might want to try reading your digital pictures into some scanning software on your computer, and then playing around with various Save As options. I love it! Do you think the Robotmen were the inspiration for those little "de-stressing" squeezable dolls that look just like them, or did the dolls come first ? Great covers, all... I'll try to get my scanner working such that I can post a few recent acquisitions! 1) Have you red it before? 2) Are you gonna break it from the slab and read it? PS - Gotta love the early Superman! Does that 60+ year-old CGC 4.0 say "Off-White Pages"? cool! I love those old Actions. Yeah! And so does my Pep #1 !!!!!!!!! Action #22 - yeah, it says off-white pages, and from what I can tell, it's far from off-white. But I've always felt CGC has been lenient with page color on older books. No, haven't read it, but not planning on cracking it open. This purchase may inspire me to pick up an old DC Archives hardback or two for Action Comics to read some of these cool older stories. And I've finally figured out how to post pics directly - set up my personal web page with my ISP provider, and linked it from there. Not intuitive, but not that hard either. Maybe I'll borrow a digital camera and put up some other books I have. Good luck to all. The Archive Editions are great. I've got all the Action and Superman archives, I read the 3 Action archives first and now I'm about halfway through the 6 Superman archives. 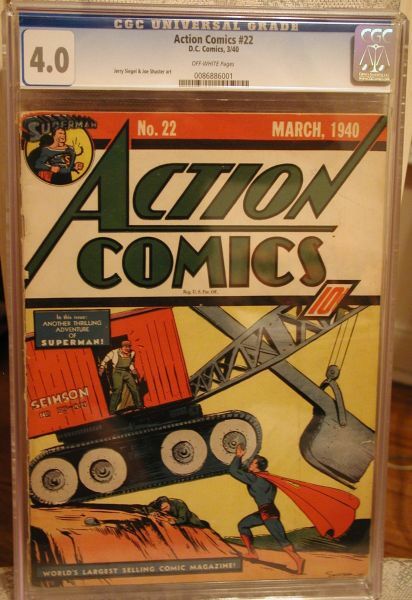 One thing, though... the Action archives only include the Superman story from each issue, so if you're into Zatara and the other characters that appeared in Action Comics back then, you'll have to crack it open. Still working with a borrowed digital camera, the personal website space BellSouth gave me, and my own limited knowledge of this techy stuff. Hope you guys don't mind. Thanks!! What grade is the Cap #37? Awesome cover! I'm not sure. 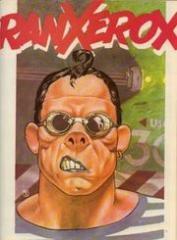 There's a small bit out of the bottom right of the cover, otherwise it's a very solid book. I'd give it an 8.5 or 9.0, but that chip would get a tick off from CGC for sure. And it's an awesome cover, with fantastic splash pages inside!! I'm looking to get a scanner in the near future, and hopefully I can get some better pics up, but the web space BellSouth provides me limits the file sizes to 150K. All nice books but that Detective is a real beauty!